First Church of the Nazarene is an established ministry that serves a growing community located between Toledo, Ohio and Detroit, Mich. Church leaders knew that to grow and take the gospel to more people, change was necessary. 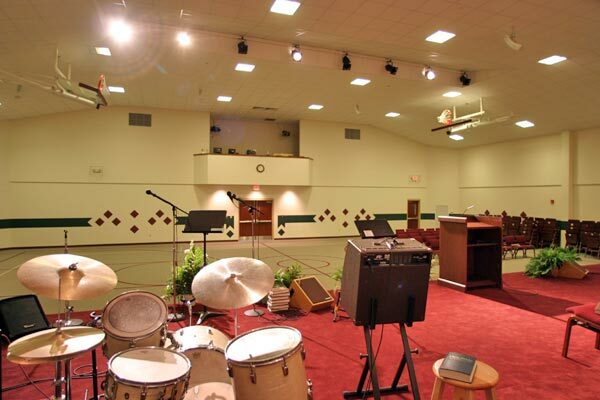 Its existing worship facility was built for the right reasons. Yet, as is true for so many communities, the culture had changed over the years and the First Church building had become worn and out of date. 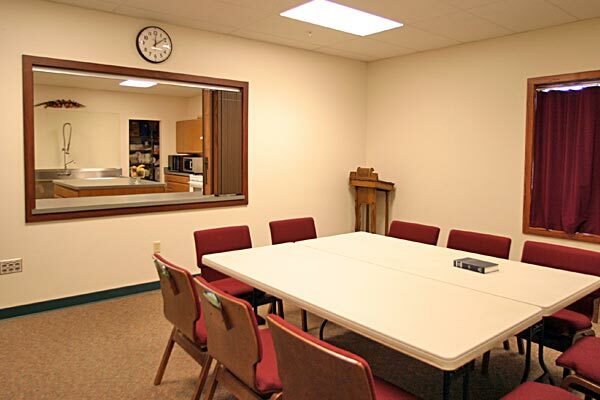 As they honed their vision for a more appropriate tool, church leaders soon realized they needed to relocate and start anew. 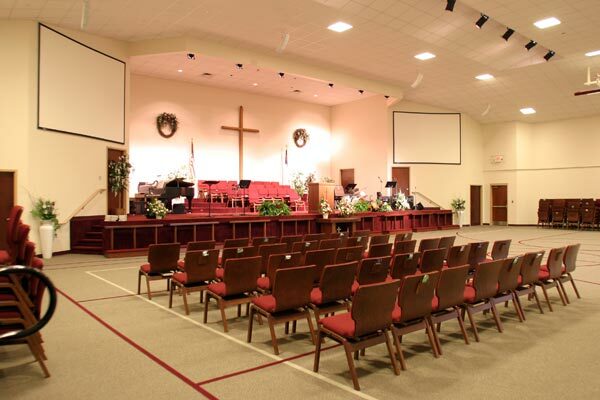 First Church moved cautiously, and asked its members to sacrifice for the project. A capital stewardship campaign was conducted. Land was purchased. Designs were created. And the existing building was sold — before new facilities were begun. This bold move allowed the church to discover the value of its property as plans were created for the new location. And the congregation remained strong, worshipping in a rented facility as the project unfolded. In the end, the sacrifices more than paid off. The versatile new facility allows First Church to do more than they could have imagined just a few years earlier. The design criteria produced a facility unique to the Monroe community. Visitors are immediately impressed with a beautiful façade, ample asphalt parking, and landscaped concrete islands. 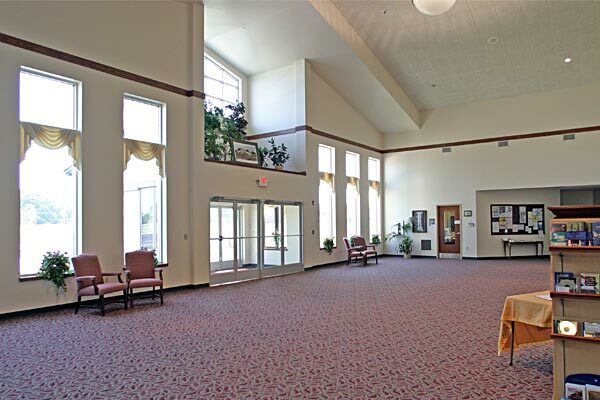 The centerpiece of the project is an attractive multi-ministry venue designed primarily for worship, while offering space for basketball, volleyball, banquets, and other community ministry. 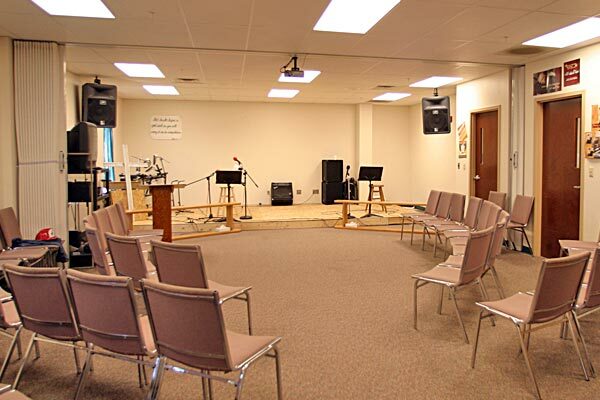 The space is comfortable, flexible, and easy to maintain; stackable chairs allow for quick change from worship center to basketball court. Other features include under-platform storage, dual video projection, and retractable backboards. 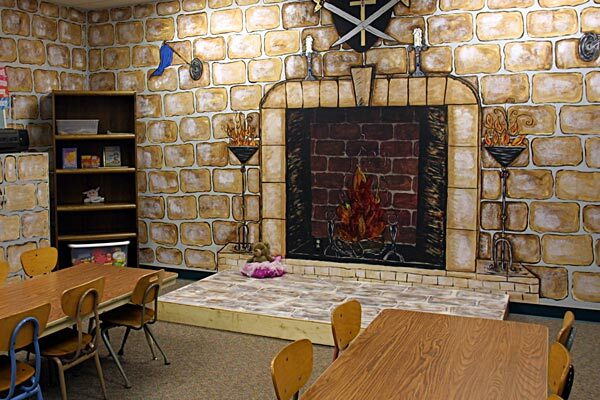 High-grade carpet and a sound system balance the acoustics of the room. 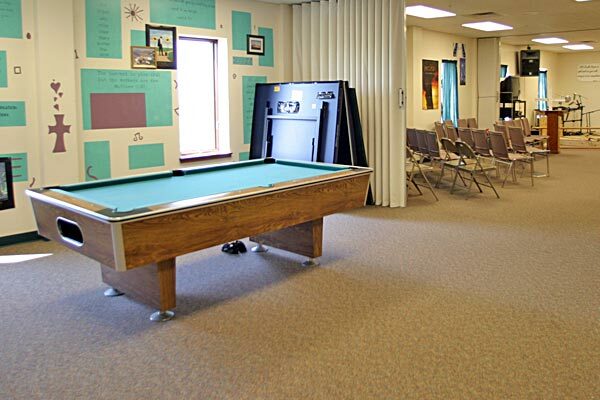 The brightly lit space gives the church limitless opportunities to touch the community. It breaks down barriers between the traditional church experience and what appeals to and encourages next-generation members. 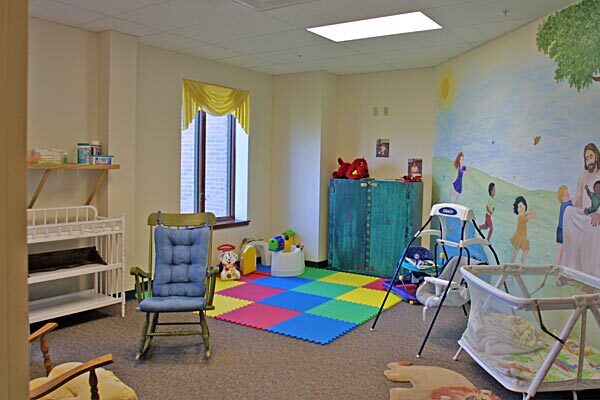 The facility also includes a spacious lobby and welcome center, office suite, and fully furnished nurseries. 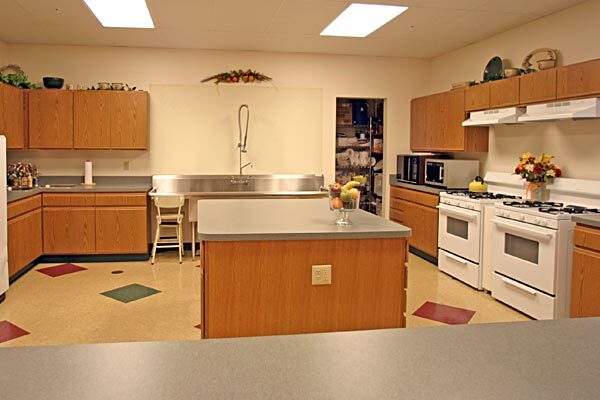 A warming kitchen adjoins flexible classroom space; larger classrooms double as a cutting-edge youth worship environment. 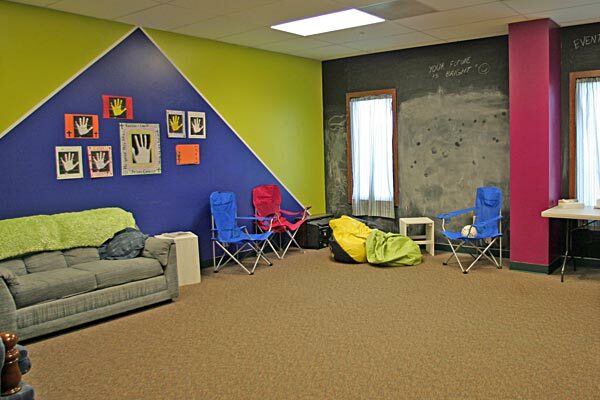 Simply put, the space is exactly what they wanted and needed. With the help of the McKnight Group, First Church is reaching more people and changing more lives. Two services now fill the building, and parking lot, on the weekends. More and more ministry is taking place during the week, and the building is alive with activity that goes well beyond the expectation. The building allows leaders to be as creative as possible. “Wild Game Nights” and open basketball, volleyball, and table tennis have provided the common ground for introducing the church to youth – and their parents. The same for the October Funtacular, Winter Beach Party, Biker Sunday, and other enticing events. It’s no surprise that First Church leadership is once again looking at additional phases of expansion.